Engadget giveaway: Win a OnePlus 5 smartphone and backpack! It's a powerful and affordable handset, with quality swag to boot. OnePlus has been making its mark on the mobile scene for a while now and its latest phone doesn't disappoint. The OnePlus 5 is a combination of features, style and price that hits the sweet spot, with the top-of-the-line version packing 8GB of RAM and 128GB of onboard storage for just $539. There's a dual camera here, along with software providing bokeh control and the ability to fine-tune settings like ISO, shutter speed and more. A Qualcomm Snapdragon 835 processor runs the show and battery life is improved over the previous 3T model, even offering quick charging so you can have "a day's power in half an hour." This week, the company has provided us with two of its OnePlus 5 Midnight Black 128GB models, along with some swag for two lucky readers. All you need to do is head to the Rafflecopter widget below for up to three chances at winning one of these highly rated handsets. Good luck! Winners: Congratulations to Sheng T. of Tallahassee FL and David Z. of Fairfax, VA. Winners will be chosen randomly. 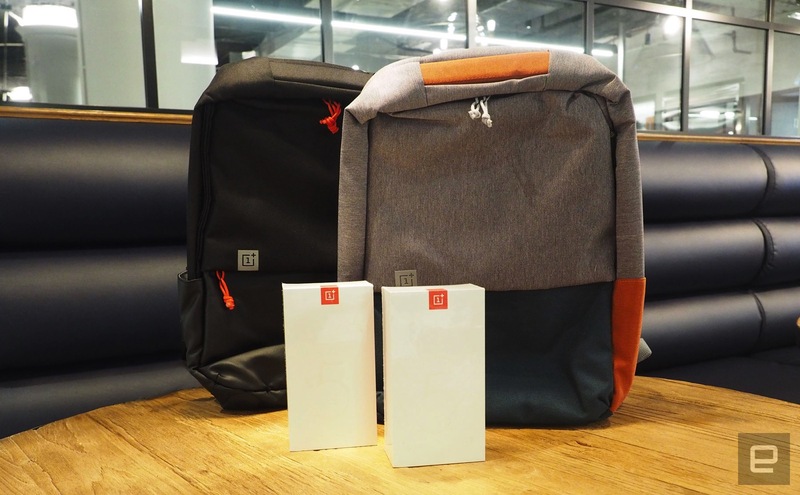 Two (2) winners will each receive one (1) OnePlus 5 smartphone - 128GB, one (1) Sandstone protective case and one (1) OnePlus Travel backpack. Entries can be submitted until August 9th at 11:59PM ET. Good luck!